WASHINGTON: The United States is scrutinizing state-owned Qatar Airways’ acquisition of a 49 percent stake in Air Italy, which has been flying to US destinations since June in a move seen by US lawmakers as flouting a deal not to add new flights to the domestic market. Questioned repeatedly about the acquisition during a US Senate hearing, Secretary of State Mike Pompeo said on Wednesday, “We’re looking very closely at this recent decision by Qatar to take on 49 percent of this airline.” Both Republicans and Democrats at the Senate Foreign Relations Committee hearing said they were concerned that the deal with the Italian carrier violated an agreement Qatar Airways reached with the United States in early 2018. “There are lots of consultations taking place,” Pompeo said. In January, US and Qatari officials met to discuss civil aviation matters, the State Department said earlier this year. Since 2015 the largest US carriers – Delta Air Lines , American Airlines Group and United Airlines – have argued their Gulf rivals are being unfairly subsidized by their governments, distorting competition. However, Air Italy has been flying to New York and Miami since June last year and was due to start serving San Francisco and Los Angeles from this month and Chicago in May. 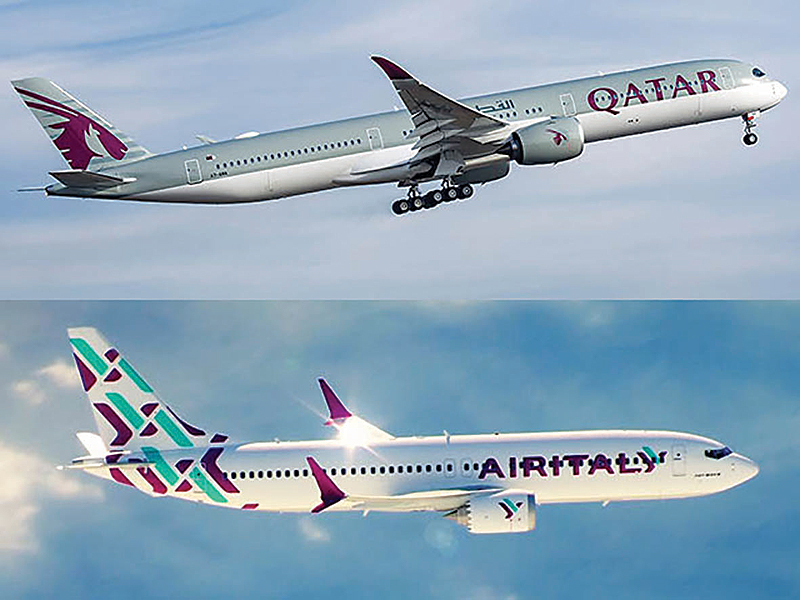 Qatar Airways acquired 49 percent of Italian airline Meridiana in 2017, rebranded it Air Italy and transformed it into a carrier with five announced non-stop US destinations from Milan.